A little over 10,000 years ago the Lenni-Lenape Indians inhabited the area currently known as Brick Township. They not only cultivated the land, but they constructed useful items from local resources to use for trading purposes. Settlers from Long Island and Europe moved to the area in the mid-1700s and quickly saw the potential the natural resources offered. They erected sawmills and gristmills that attracted even more settlers. Mr. Joseph W. Brick arrived around 1832 when he took over the Washington Furnace and transformed it into the Bergen Iron Works. He was responsible for establishing a successful industry that converted bog ore into pig iron that was employed to make water pipes for New York City. While local industry jobs were available, the area was also home to shipbuilders, carpenters, and sailors. On February 15, 1850, the same day Ocean County was formed, the New Jersey Legislature officially incorporated the Township of Brick. It included the area south of the Manasquan River in the northeastern portion of Dover Township, and was bordered on the east by the Atlantic Ocean and by Jackson Township on the west. The township was named for its most prominent resident, Joseph W. Brick, who had died just three years earlier. At the time of its incorporation, it housed 1,558 residents. Eventually, certain portions would break away to form Bay Head, Mantoloking, Point Pleasant, Point Pleasant Beach, and Lakewood. The Brick Township Committee met for its first session on March 13, 1850, at the home of Richard Burr, and appointed its town officers. Brick's founding families included the Burrs, Woolleys, Allans, Cooks, Havens, Herberts, Wardells, Osborns, Tiltons, Johnsons, Grants, and Hulses and they comprised most of the population. It was not long after its formation that the iron works went out of business and new industries, such as cranberry and blueberry production, flourished. Overcrowding in northern New Jersey brought a new wave of settlers in the 1900s. Their varying ethnic backgrounds brought diversity that dramatically changed the nature of the community. In the 1920s and 1930s, developers arrived to create resort communities like Riviera Beach, Breton Woods, Shore Acres, and Normandy Beach. Brick Township was a relatively quiet resort area until the opening of the Garden State Parkway in the 1950s, when residential and commercial development created a dramatic growth in the year-round population. This growth also resulted in a new form of government that replaced the old community government and a police department was formed between 1972 and 1974. In 2000, Brick celebrated its 150th anniversary and is today a thriving residential and resort area that contains 53 miles of waterfront property – including three ocean beaches, private community beaches, a river beach, and over 26 marinas. It promises to keep adding on to its already storied history. 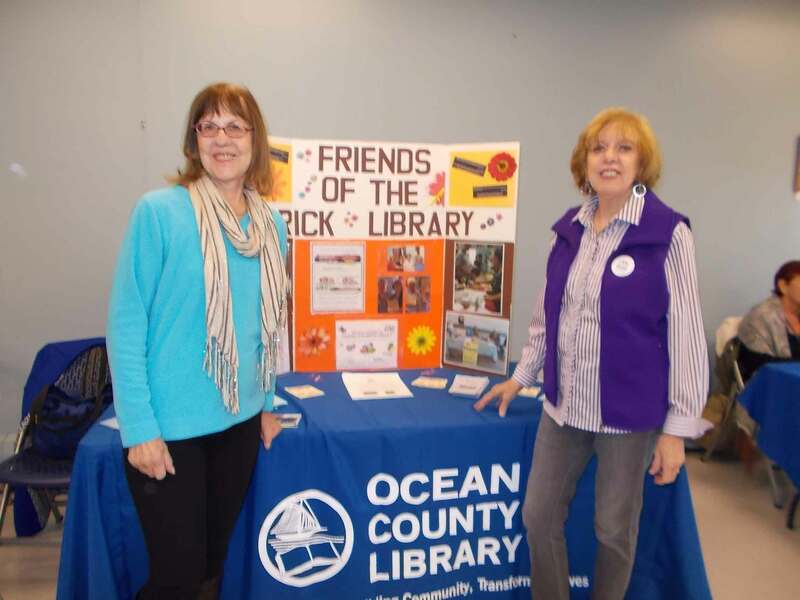 In April 1965, after five years of planning and dedicated efforts by a group of concerned citizens, The Brick Township Branch of the Ocean County Library was opened on Cedar Bridge Road. 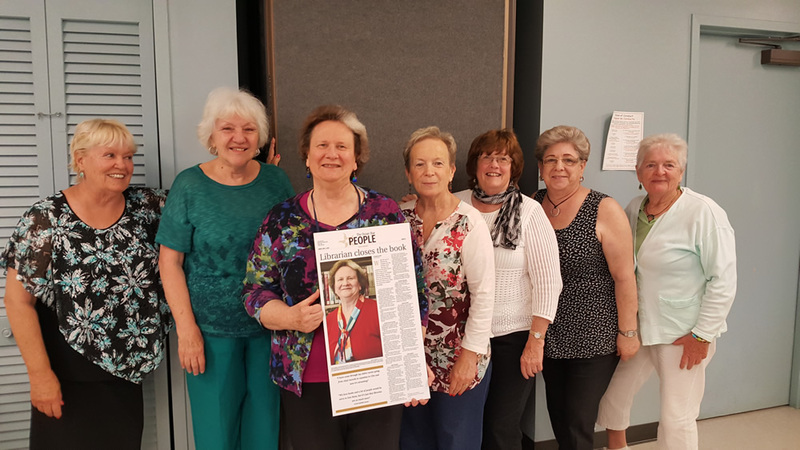 This was the result of an agreement among three groups: the Ocean County Library, which provided materials and staff; the Township of Brick, which provided the land and building; and the Friends of the Brick Library, headed by Irene Alznauer, who raised funds to furnish the library. Brick Branch, the second branch of the Ocean County Library, occupied 3,600 square feet and offered a collection of 5,000 volumes to its population of 24,000. The library was open for 32 hours a week. By the end of the first year, there were 5,766 registered borrowers, a circulation of almost 54,000 items, and the collection exceeded 10,000 volumes. The population of Brick continued to grow, as did the library. The Branch was moved to the new municipal complex which was completed in 1975. The new quarters for the library were opened to the public on January 26, 1976. These were located in the below ground level of the complex in 9,000 square feet, with a capacity for 85,000 volumes. The library remained in this location for 14 years. While shelving space was adequate for the foreseeable future, facilities for programming were lacking. Impetus for the new building was provided by the adoption of the Ocean County Library Master Plan in 1986. Negotiations, which included a transfer of a 325 acre tract of Township land to the County of Ocean in exchange for the new library building and a golf course, were concluded in 1987. Groundbreaking ceremonies were held in June 1988. Construction was expected to be completed by July 1989, but delays caused the Grand Opening Ceremony to be postponed until August 24, 1990. The new building comprised 18,691 square feet on two floors, with a meeting room that seated 90 people. The collection had grown to more than 72,000 items, as the population of Brick Township continued to grow. The branch expanded its hours to 64 per week, the first branch in the system to open the same number of hours as the Headquarters location in Toms River. As part of the 2005-2010 Facilities Plan of the Ocean County Library, the Brick Township Branch of the Ocean County Library was scheduled undergo a major expansion and renovation in order to meet the needs of a growing population of 81,500. By 2007 the economic recession brought about the closure of this project. In early 2012 the Ocean County Board of Freeholders along with the Ocean County Library Commission agreed to a $1.2 million dollar major renovation of the facility to help meet the future needs of the service area. The renovation was completed in October 2012. The interior design project included new carpeting, painting, and furniture, energy-efficient lighting, a dedicated teen area, improvements to the children’s area, including the creation of a story corner, and creation of new community spaces for the public within the branch. These community spaces included study and meeting rooms, and a conference room that may be transformed into a computer training lab for job training and other classes through the use of wireless technology and portable laptops. 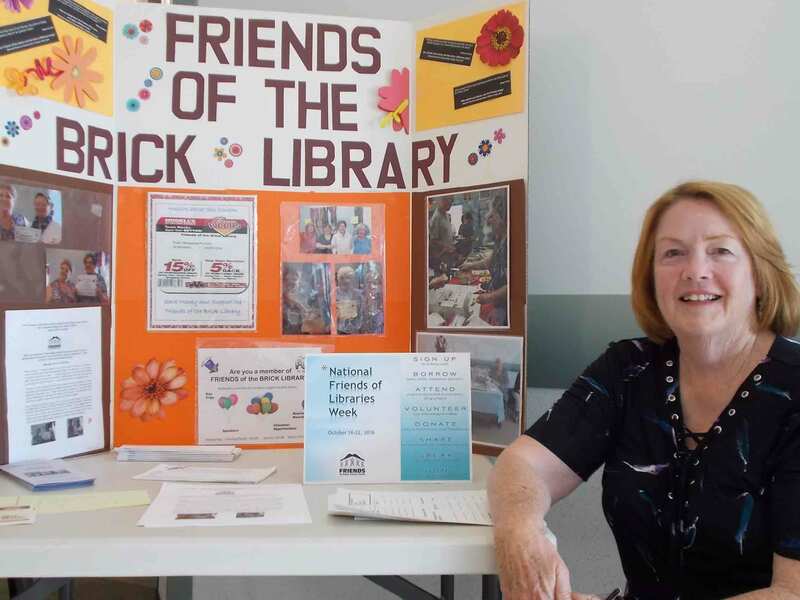 The Friends of the Brick Library meet at 10:00 a.m. the first Wednesday of the month in September, October, and November. 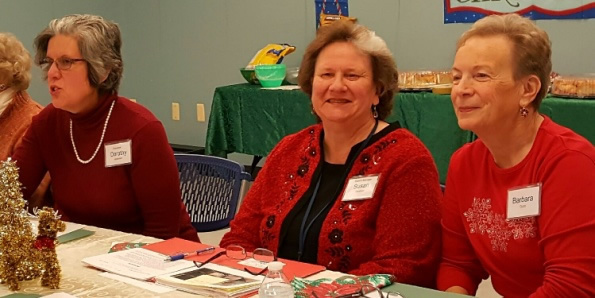 The December meeting and luncheon begins at 11:00 a.m. No meetings in January and February. Meetings resume in March, April, and May, at 10 a.m. The June meeting and luncheon begins at 11:00. No meetings in July and August. To join the Friends of the Library, please click here to fill out the form. For questions about the Friends of the Brick Branch, please contact bf@theoceancountylibrary.org. For additional information about what the Friends do, check out these pictures.